Gartner recently released The Strategic Sourcing Magic Quadrant. The ‘MQ’ as it is affectionately known, positions technology players within a given market, in this case Strategic Sourcing. The MQ plots the providers ability to execute against the completeness of vision: resulting in a quadrant positioning the leaders, visionaries, challengers and niche players. The MQ is arguably one of the most sought after reports Gartner produces. Business executives and technology leaders rely on this document to help filter the technology sales and marketing noise and strategize for the future by marrying the right technology footprint with their business needs. 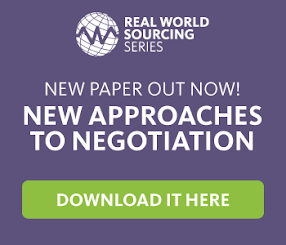 Become quickly educated about the strategic sourcing market’s competing technology providers and their ability to deliver on what they require today and in the future. Understand how the strategic sourcing market’s technology providers are competitively positioned and the strategies they are using to compete for end-user business. Gartner’s Strategic Sourcing MQ is a tool to help the CPO and the business technology team match their business needs to the right technology provider, ultimately delivering real financial business benefit.